Winmate have been paying attention to the latest phone and tablet fashion trends – We make sleek and modern multi-touch PDA and Tablet. In addition, Android is now one of the default OS for Winmate's most serious entry into modern industrial handhelds and tablet PC. The sheer number of Android users and Android developers mean easy access to programming tools and expertise and a vast number of inexpensive downloadable apps in numerous categories and applications. The Android product line range from 3.5 to 7-inches and share many common specification such as processor, high brightness display, and wide range operating temperature. 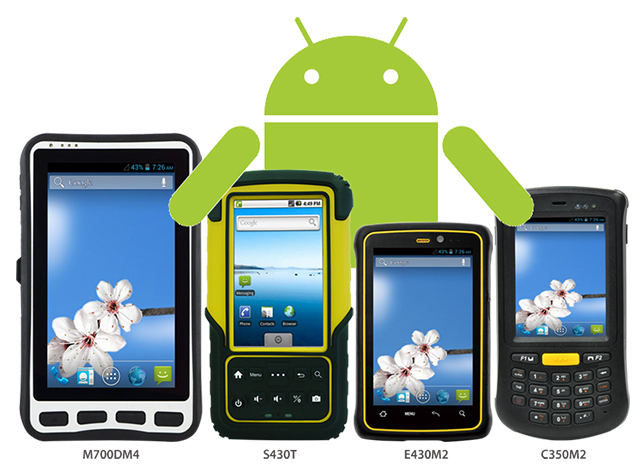 If you are in need of a rugged Android-based handheld or tablet, please contact Winmate’s local sales or visit the website for more details regarding our products.